A pair of Mallards carry on a conversation while swimming along. Frame Size: 13 1/2" x 16 1/2"
Due to very low inventory, these duck prints are sold as a set of 4 only! 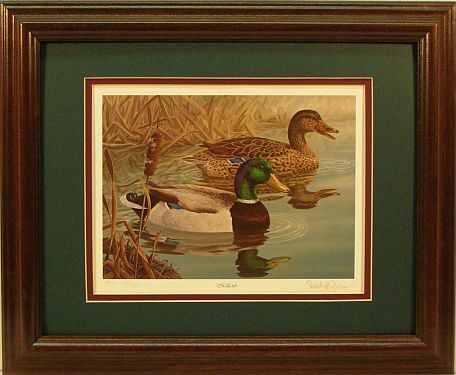 The other paintings included in this set are: Wood Ducks, Widgeons, and Blue-winged Teal.